Collects material from Captain America (1968) #357-364. Baron Helmut Zemo is obsessed with raising his father, Heinrich, from the dead, and he's determined to find the fragments of the powerful Bloodstone to do it! 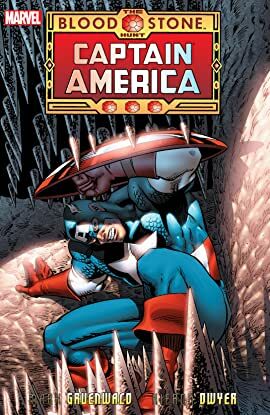 Join Captain America and Diamondback as they fight underground, in the air, in the ocean and through the jungle to stop Zemo and mercenaries Batroc, Zaran and Machete! 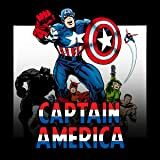 Including fights with cannibals, sharks, snakes, mummies and the undead in one of Cap's greatest adventures ever! Plus: When Crossbones kidnaps Diamondback to Madripoor, only Cap can save her!